I have recently returned from the education conference "Taking Stock, Moving Forward". The conference was centered around Martin Thrupp's important qualitative research on how schools have managed the imposition of National Standards and the effect it has on school cultures. Martin is internationally well regarded as an academic and he managed to attract other leading educationalists from the US, UK and Australia to serve as a reference group to critique his research and contribute to the conference. When university funding is now largely determined by government priorities it is a brave academic who engages in research that ultimately questions the validity of current policies. Martin's bravery was referred to many times over the course of the conference. The Government and right wing bloggers' efforts to dismiss the National Standards research because it was partly funded by NZEI could be easily countered by the academic rigor employed. Obviously the Government would never support any research that would reveal flaws in their ideology. It was interesting to hear the international speakers describe the erosion of their public education systems through the insidious infiltration of private interests and high stakes testing. I also had the opportunity to interact with many of them informally and was impressed by their real passion for education and was surprised to hear that New Zealand is regarded as one of the last bastions of true public education. John Key's announcement of his government's $359 million education initiatives happened in the middle of the conference and looking at them from this context made them even more appalling. You can see videos of each presentation through my first link but I will try and summarise each before making comment on the government's plans. Professor Bob Lingard (University of Queensland) warned about the danger of attempting to measure everything and the concerning prevalence of using non-contextualised data to determine policy. He quoted Einstein: "Not everything that can be counted counts; Everything that counts cannot necessarily be counted." Australia's use of national testing (NAPLAN) had created a high stakes assessment that shifted schools focus away from meeting the needs of children to competition, with many private firms dictating the tests and resources used. One particular corporation, Pearson, appears to have an unhealthy influence on education internationally. Prof Lingard was concerned that too much was made about the ranking of countries through the international assessments of PISA TIMMS and PIRLS. Shanghai and Hong Kong do particularly well in these assessments but this is not so much about their education system and more about the culture. Chinese students in Australia and the US actually achieved higher scores than those from their country of origin even though their resident country had lower rankings overall. According to Lingard education had been reduced to a system of inputs and outputs, aspirational visions had been replaced by meeting targets and economic drivers. Professor Barbara Comber (Queensland University of Technology) explained how the high stakes NAPLAN national testing had corrupted education to the extent that 'failing' schools in low socio-economic areas felt forced to teach to the tests and fudge results. Many had to make complicated arrangements to exclude struggling children from sitting tests and teachers were being forced to abandon their professional integrity. The general malaise had resulted in a blame game where low achievement levels were blamed on initial teacher training, then principals, teachers and lastly the child and their families. Homework using commercially produced practice tests was common and were becoming a financial drain on parents and schools. The focus on literacy had narrowed its meaning to accommodate testing and ignored the multiple literacies that actually exist. Emeritus Professor David Berliner (Arizona State University) was the superstar of the speakers, he is a hugely influential and award winning educationalist. Prof Berliner did not like mincing words and was of the opinion that we should challenge all misinformation and lies that are being used by policy makers and governments to force through unnecessary change. When he heard John Key claim that it is the classroom teacher that has the greatest influence on children's learning he immediately growled "liar!" The vast majority of research supports the fact that the child's background is by far the greatest determiner of their success. Prof Berliner presentation was dominated by exposing common myths communicated about education that had no basis in fact. The best Charter and private schools mainly do well because they are able to exclude children with learning and behaviour problems not because they provide the best education. From birth to the age of eighteen children spend 90% of their time outside of school. The best performing countries educationally are those like Finland that have minimal income inequality. Education results are not a predictor of economic success and having academic qualifications won't ensure job security (the US is full of unemployed graduates and those working at jobs that under-utilise their qualifications). Research deniers are dictating policy and are like climate change deniers. The rich are have a dangerous influence on education with the likes of Bill Gates using his Gates Foundation to force his personal ideological agenda onto schools. Costs are going up in education, not because of waste (as often claimed), but because education in this digital age is just more expensive. Professor David Hursh (University of Rochester, NY) gave a shocking presentation that explained how high stakes testing and competition had caused even greater segregation than in the 1950's. President Bush's 'No Child Left Behind' programme effectively labeled most urban schools (as opposed to wealthy suburban ones) as failing schools. Obama's 'Race to the Top' had provided schools with extra funding but trapped them into programmes that actually cost more. Testing thresholds were established (generally arbitrarily) that could not be achieved by many schools in poor communities despite making enormous gains while wealthy schools could easily achieve results above the line with little improvement and even declining results. 20 years of reform and using standardised tests had been a failure. Teachers are being held accountable for the failures of the systems but state governors and the private firms and advisors that design the systems are not accountable. Even academics, like Diane Ravitch, who had supported the changes in the earlier stages have come out strongly against the Charter School private models. The 'Teach for America' programme used untrained graduates as teachers for three years before they move on to their 'real' careers. This lowers the status of teachers and wouldn't be acceptable for other professions such as medicine or law and professional, unionised teachers are being sacked. Professor Meg Maguire (Kings College, London) was able to illustrate what it is like for teachers to work in an environment that has been subject to constant change and attacks. She described the different forces and philosophies that are having an impact on teachers. Tony Blair had described Education as being the country's most important economic policy and successive governments had promoted neo-liberal models like Free Schools and Academies (interestingly Lesley Longstone, who was employed to head the New Zealand Ministry of Education, had led the Free School initiative in England). Rather than accepting the inequality and socio-economic challenges that affected many children poor assessment results were being blamed entirely on schools and they were forced to adopt a private model. Few public schools survive the reforms once they are deemed failures. The progressive teaching methods of the 60s are being blamed for school failures, it is suggested that too much emphasis on the arts and play was the problem and a return to discipline, standards and rote learning of phonics is the answer. Education businesses are thriving (Pearson again) and private tutors are a growing industry, even Ofsted inspectors are contracted out to private businesses which often creates conflicts of interest. Maguire shared the emails of a teacher she knew who was a brilliant practitioner, the emails described the stress of an impending Ofsted visit, the horror of being labeled a failing school and the self doubt that resulted. We were told that the teacher concerned resigned shortly afterwards. The initiatives that John Key introduced in his state of the nation speech were developed with little consultation with the profession and there was no knowledge about what would be announced beforehand. The $359 million set aside is a considerable amount and the intention to identify and pay top performing teachers and principals to lead struggling schools or give professional support a few days a week was welcomed by some in the profession. The premise behind the initiatives is that academic achievement can be lifted primarily by having strong leadership. While this may indeed be helpful it is only one aspect that determines achievement and the largest factor, the socio-economic backgrounds of the children, has been ignored. Even the highly flawed National Standards showed a strong correlation between the decile of the school and the levels of attainment. It cannot be said that all low decile schools have poor principals. If the Government had bothered to consult with the profession about where the money would be better spent there would be a greater spread of support. Special Education Services would have got a boost as the numbers of high needs children in mainstream schools have increased but the numbers of Special Education staff have not. The teacher aids who work directly with struggling children, and support teachers, are poorly paid and schools have limited budgets to employ them. Health and Welfare support for struggling families is also limited and rely on families requesting support or being identified through maltreatment. 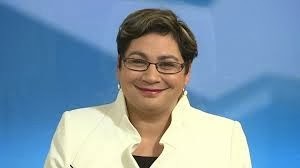 Green Party education spokesperson Metiria Turei was quickly able to identify the flaws in National's approach and the $90 million dollar policy to address educational inequities she announced today will do more to lift achievement at a fraction of the price. Making schools hubs for health and welfare support and employing special staff to do this will mean teachers will no longer have to balance multiple roles and just concentrate on teaching and learning. Having specialised staff based in low decile schools, addressing children's health and welfare needs and working with families, will mean timely responses and a saving of money that would be needed to address bigger problems later. To think that a dangle the dollar policy will give children what they need in the education system is quite honestly pathetic. It needs an approach that considers all the factors in the childs life and a return to people having the ability to work, play and be able to proudly support their families. I wonder sometimes if we can ever get back to that. To many people live below what we should consider an acceptable standard of living. Your blog makes so much sense and unravels so many of the myths people hide behind. Great to have your support, Dianne. I also think this policy is cost effective because National have thrown millions at a problem that only partially exists and won't see that much of a return for their buck. The Green's policy will be like our home insulation scheme, it will provide meaningful jobs, strengthen communities and save the country from expensive interventions that would have had to occur at a later stage. I agree, Philip, rather than blame teachers and parents and have a punitive response to under-achievement it is far better to support communities and spend the money where it is really needed.